December is here! Are you looking for a great blog to read during those colder winter nights? We have it! 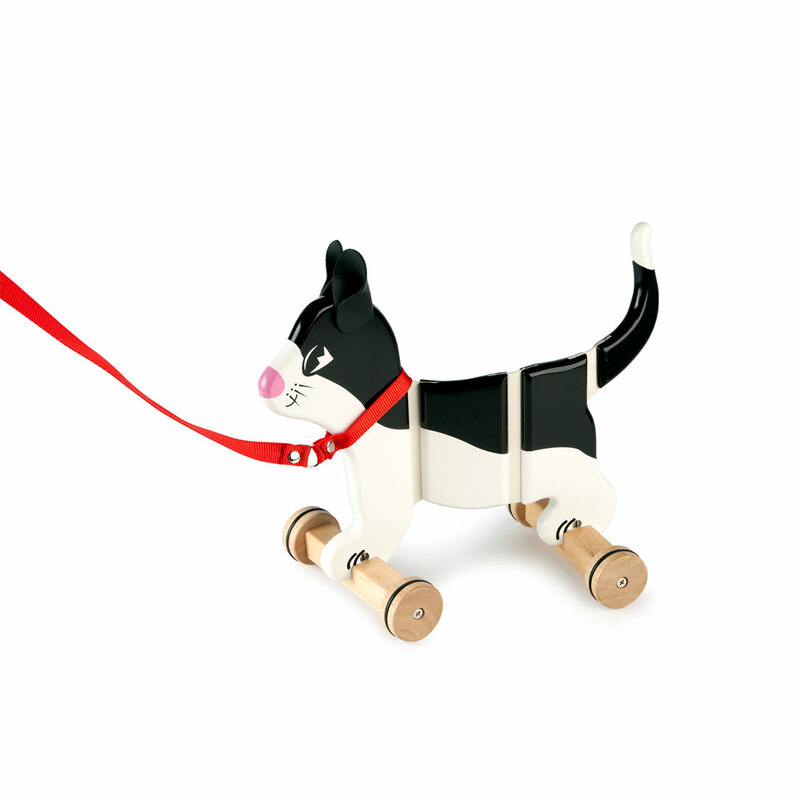 Looking for great toys or designers to find the perfect gift for your friends and family? We have inspiration for you! 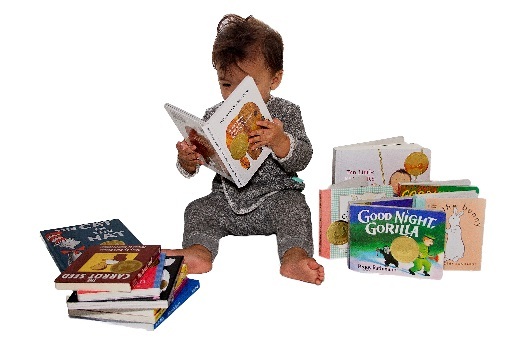 Check out these great brands and books dedicated to making sure you have a great Holiday Season! Whether you live in New York City or just want to peer into the life of a parent in the Big Apple, this blog has it all! 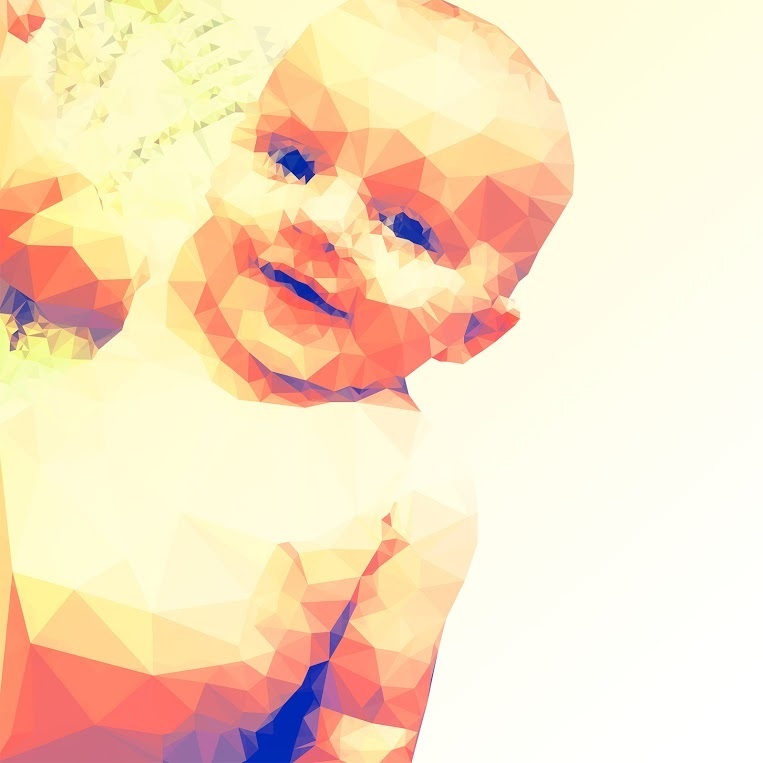 From product reviews to tips, Baby Does NYC is our blog of the month! They also have a great Parent Ambassador opportunity for all of you bloggers out there. We also enjoy their NYC Neighbor posts, where they interview interesting Moms and Dads. 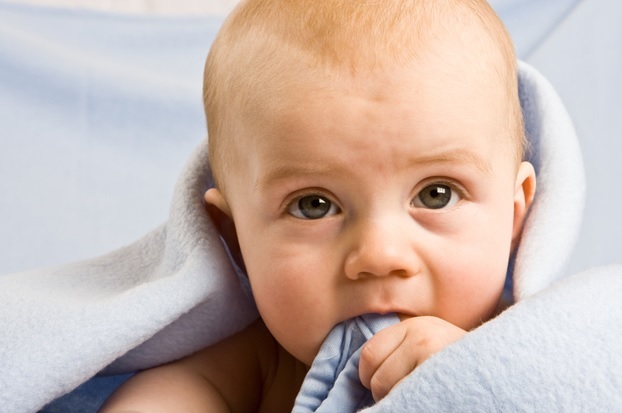 Check out this blog today for everything Baby in NYC! It’s fantastic and we love it. 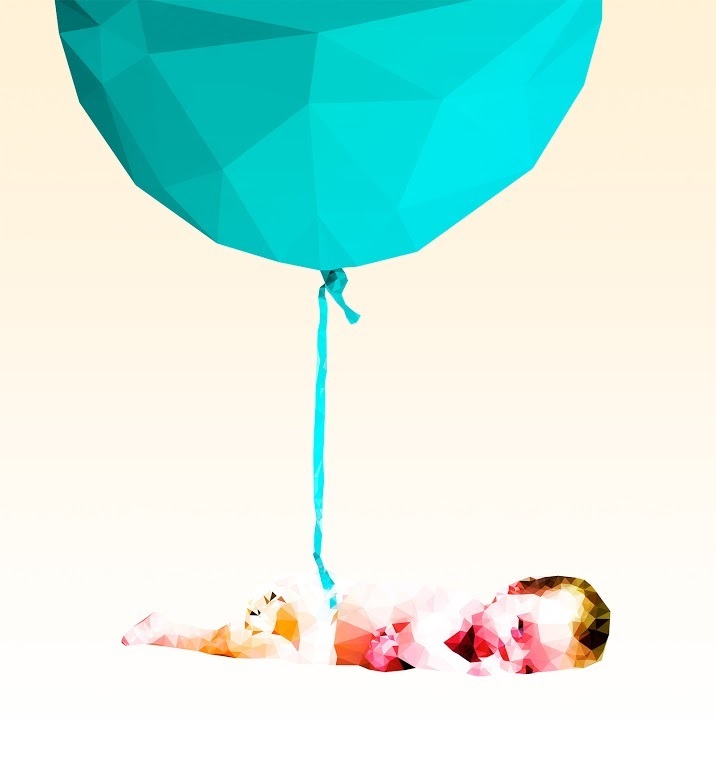 Jak Burke is a London-born artist and writer for juvenile sectors. From as long as she could remember she wanted to live in NYC. In 2010 Jak became a permanent resident, it was one of the happiest days of her life. Says Jak: “I love New York City so much and I think it’s one of the best places on earth to raise a family. 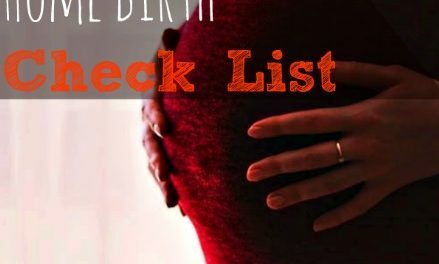 From 2010 on I decided to create an info hub where brand new parents could find useful NYC-related tips and resources. Baby Does … NYC – a few years later, was the result. Thank you for stopping by and please come back! This trendy line is available globally! This makes a great gift for a family. 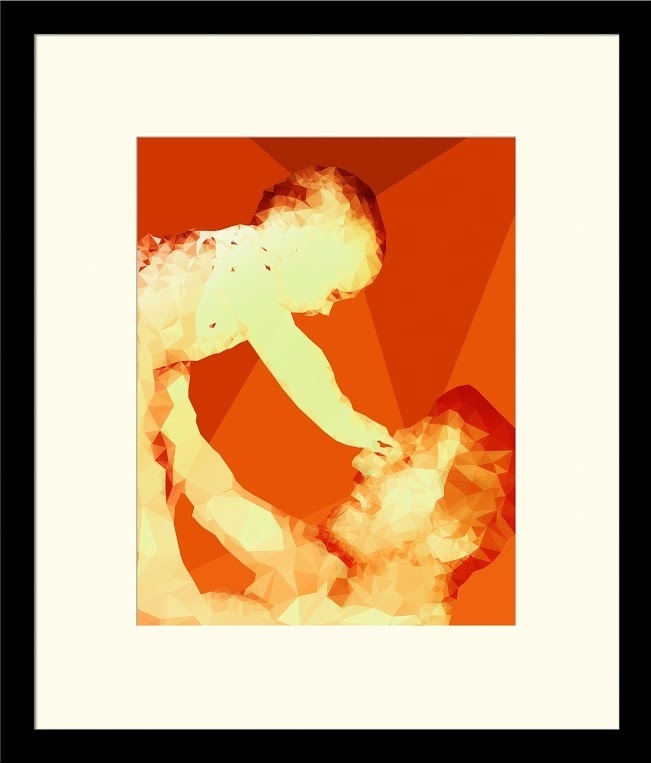 Think Baby Shower or Christmas gifts! 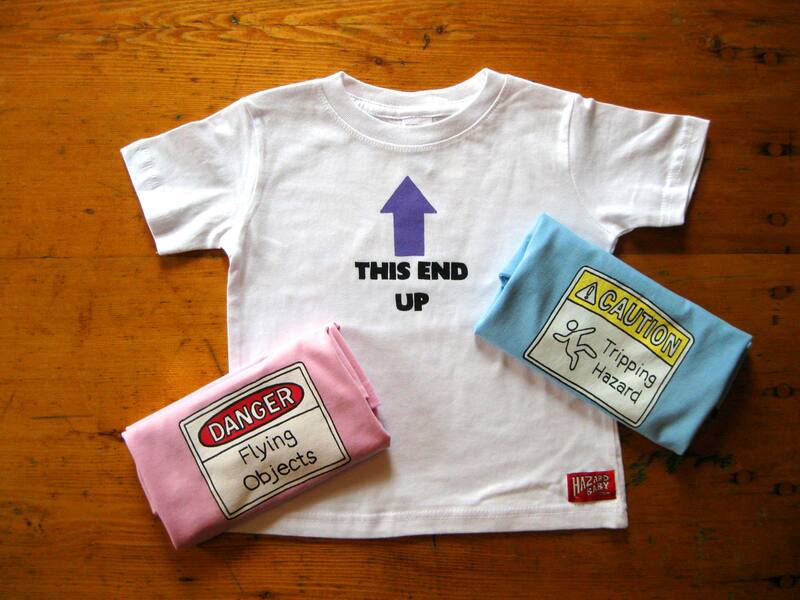 We love Hazard Baby’s trendy style and hilarious sayings. This is a must have! 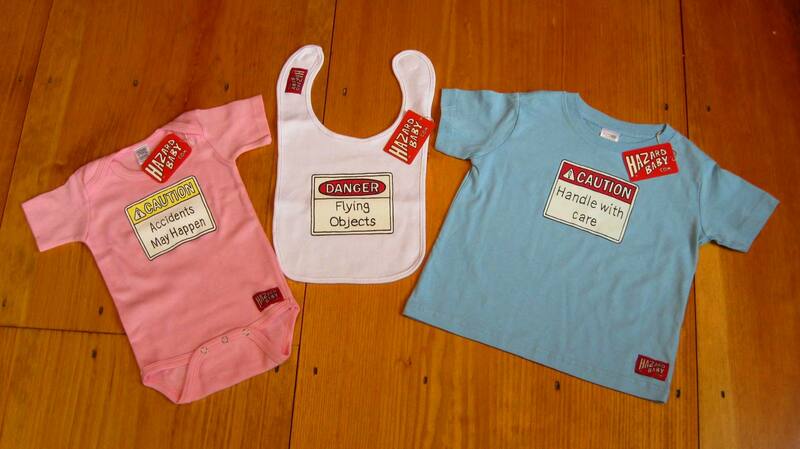 Hazard Baby is a warning label clothing line for kids. Just launched this spring from my home in the White Mountains of New Hampshire. 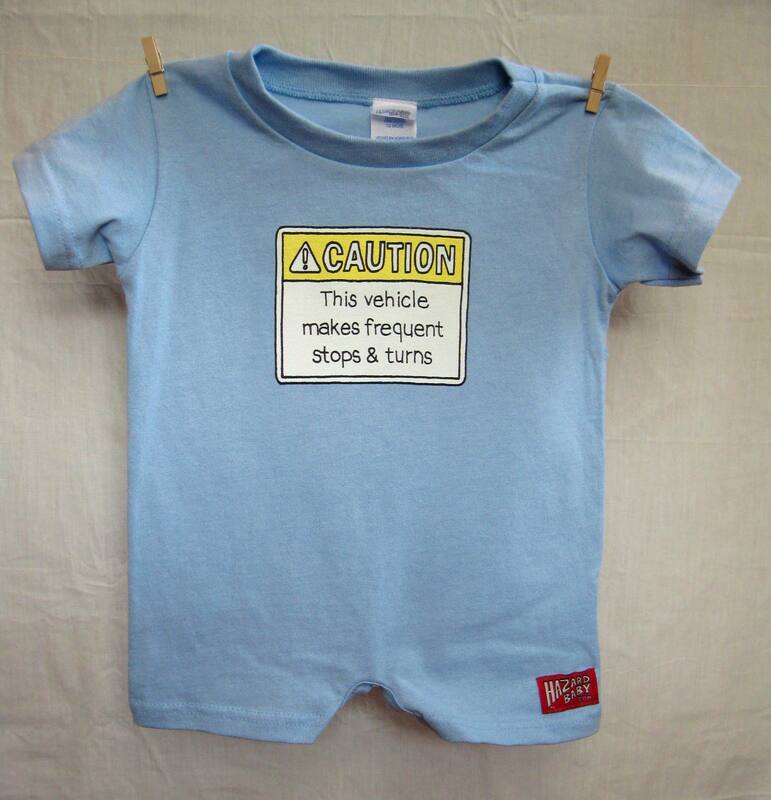 We feature 100% soft cotton infant onesies, toddler t-shirts, rompers, and bibs available with 10 different humorous “warning label” designs. All of our clothing is designed by myself and screen printed locally. How Did Hazard Baby Start? 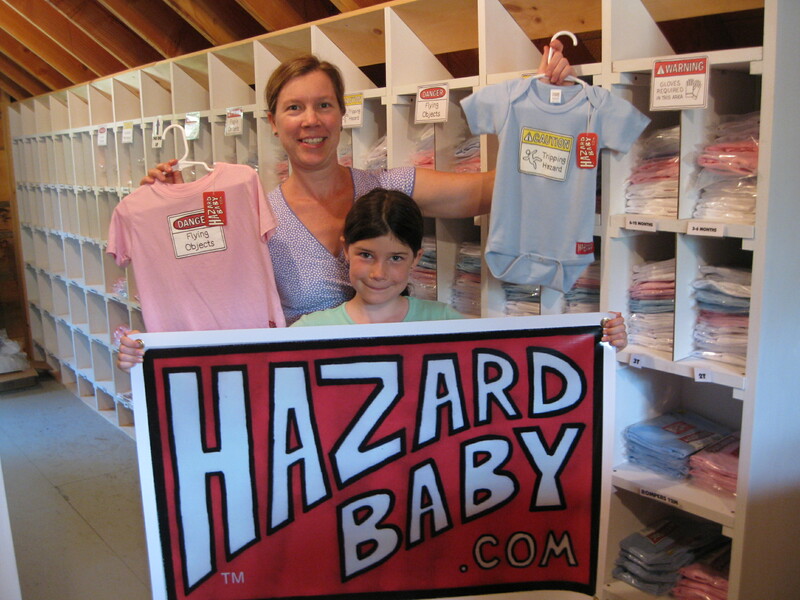 Hazard Baby was born at a propane filling station with a rented VW Camper Bus on a family tour of the Utah National Parks in 2011. The warning label on the propane tank asked us to alert an official if we notice an odor. We decided that this warning also applied to babies! 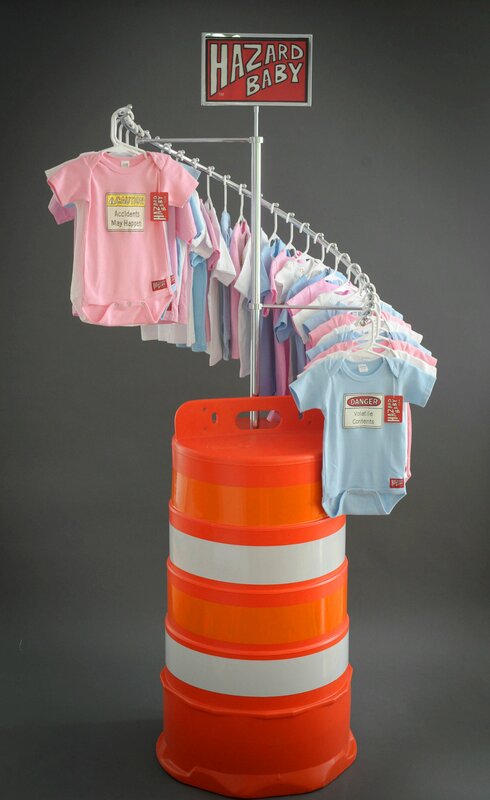 We quickly realized that a great many warning and caution signs for equipment and material safety also apply to kids! I soon got to work on designing the Hazard Baby logo and “titles”. Hazard Baby is the perfect solution for anyone who has ever thought that babies should come with warning labels. What’s in store for Hazard Baby’s future? I have already designed 6 more titles that will soon be added to the current ten. More sizes and colors! Not only can we add more sizes to our onesie, toddler, and romper lines, but most of our titles can apply to youths as well. Perhaps even adult sizes are in our future. Cozy sweatshirts, long sleeved onesies & t-shirts, dresses, hats, blankets, and bags. Plus more titles. I am constantly on the lookout for more tasteful “warnings”. The possibilities are endless! 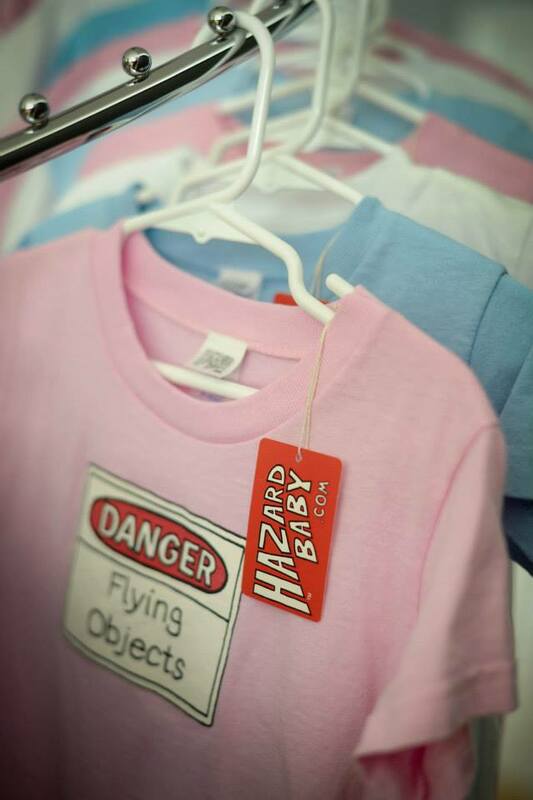 When it comes down to it, I hope my customers have as much fun with their Hazard Baby clothing as I do in designing them. Feel free to contact me, Lynn Brown, with any questions about Hazard Baby! We have always been a fan of unique and rare items. 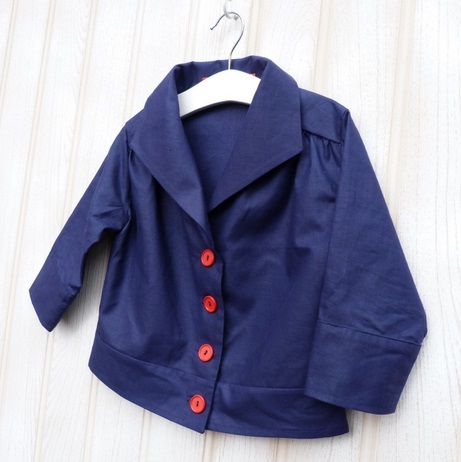 Mary and Kit is a beautiful luxury handmade children’s wear brand in Britain that provides beautiful clothes for your little one. 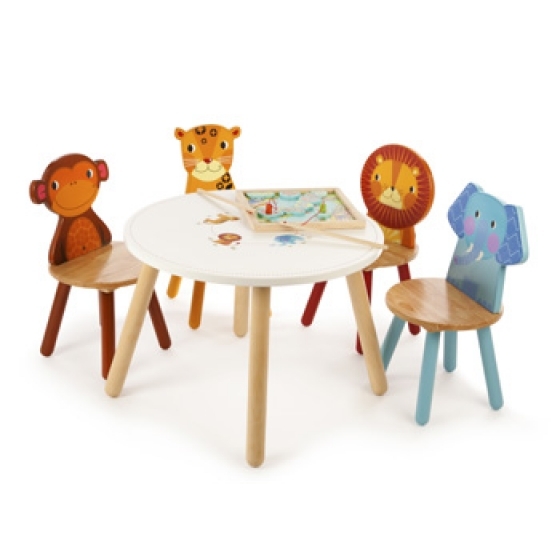 Not only are these stylish, but there are so many pieces that you keep as a keep sake for your children! 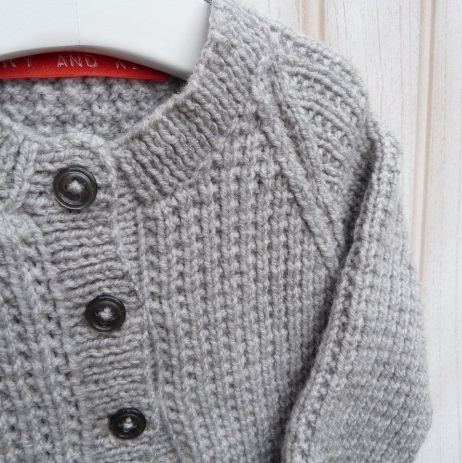 Mary and Kit are a luxury handmade children’s wear brand created exclusively in Britain. Only small runs of each item are produced and we use only the finest quality fabrics. There are hints of quirky hand embroidery featured in Mary and Kit’s collections. Our inspiration is taken from various cultural influences, creating clothes that are classic yet have a contemporary edge. Mary and Kit, who were said to be “like 2 peas in a pod” were very ordinary sisters who left an extraordinary mark on the world & the people whose lives they touched. We hope to do the same with our brand in their honour. 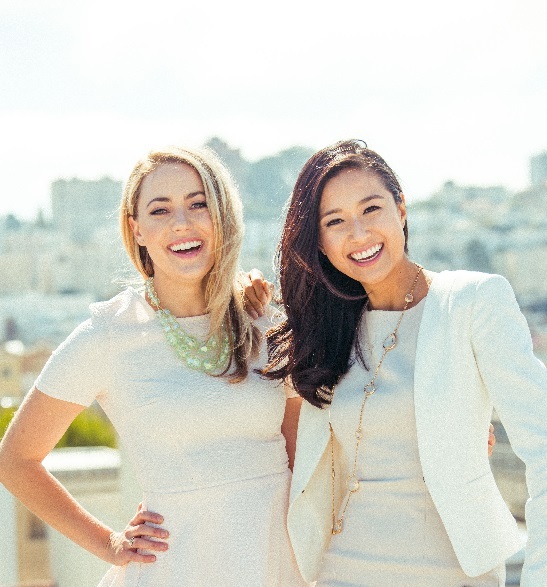 Ennie and Kendra are not only friends but they are designers, innovators and entrepreneurs! 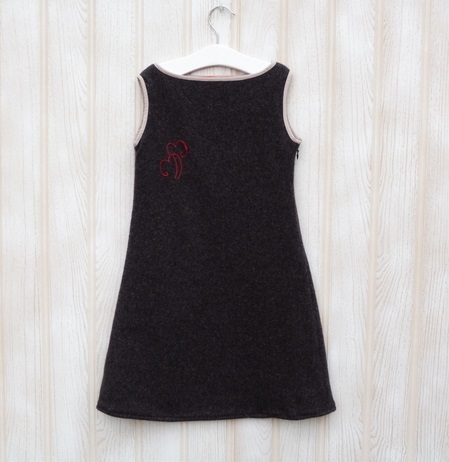 Obebe Organic is a beautiful children’s line of clothing with a twist, their passion for literacy! These designs are absolutely beautiful and these two lovely women are extremely passionate about providing you with high quality product! Ennie and Kendra are dedicate to organic cotton and educating others of its importance. They have had a very successful campaign. 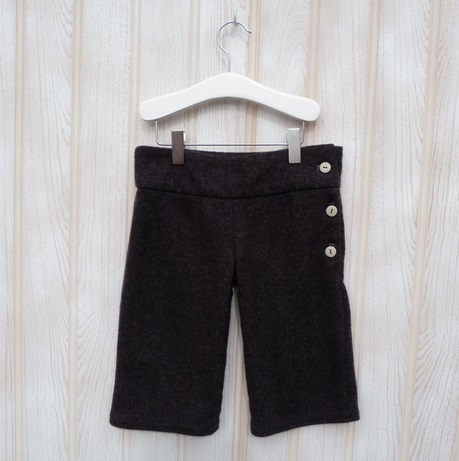 They are on our watch for companies who make a splash in the global child clothing industry. WE ARE IN LOVE WITH ALL OF THEIR PRODUCTS!!! Obébé believes Every Child Deserves a Story which is why they started our Book for a Book program benefiting children in under served communities through partnership with the award-winning Bring Me A Book Foundation. For every Signature Set purchased, they will donate a new, quality, hardcover children’s book to a child in need. Ennie and Kendra met at a wine tasting and instantly clicked over their shared passion for food, wine and a healthy lifestyle. 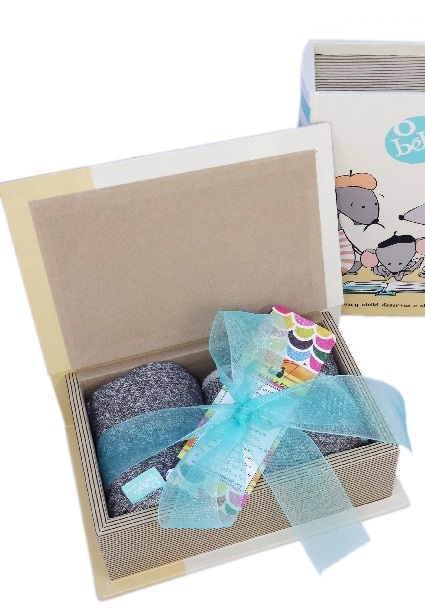 Ennie, a former women’s apparel designer, started attending friend’s baby showers and realised there was a real need for beautiful baby products in delightful packaging. Deeply involved with the Bring Me A Book Foundation, Ennie wanted to give back in an even bigger way by tying sales of her designs to the foundation. Kendra was an Early Childhood Educator and the Head of Nutrition Education in Bay Area schools before she began running marketing programs for a healthy fresh food company in San Francisco. 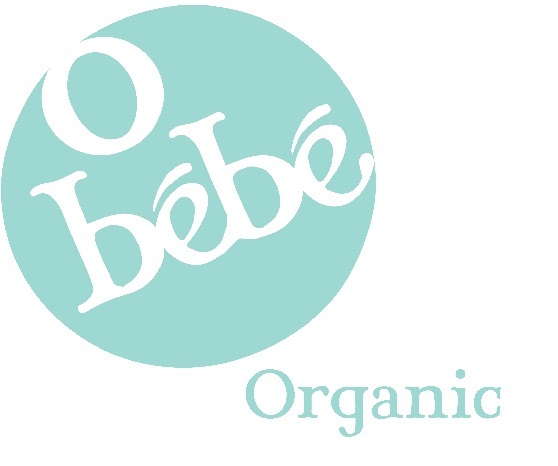 She loved the natural & organic space so much that she began consulting for consumer brands before teaming up with Ennie to create Obébé Organic! These women are successful, beautiful, passionate about charity and their beautiful Obébé Organic. we cannot wait to see what these powerhouses have in store in 2015. 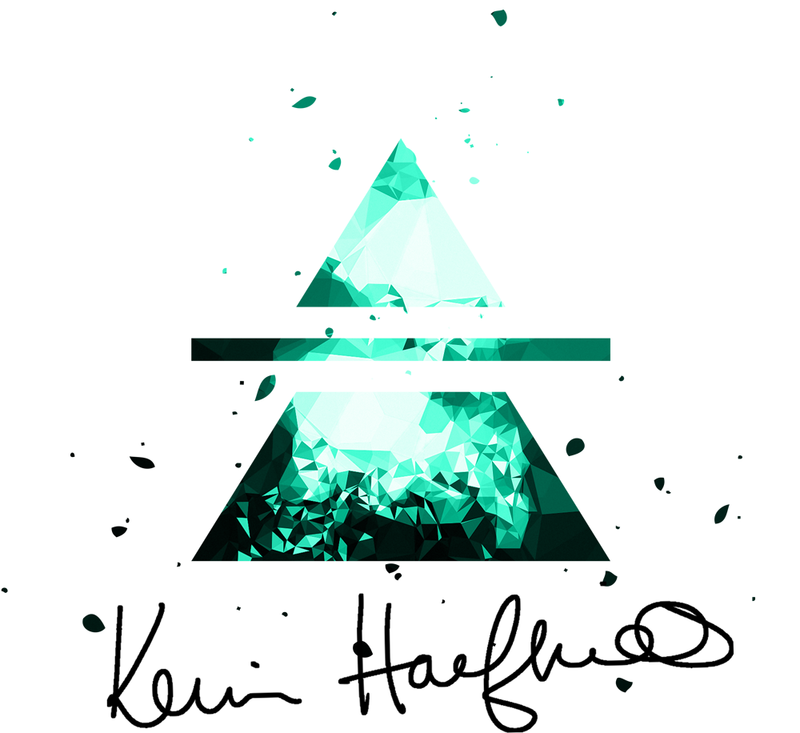 We have had a lot of experience in finding the next big thing and Kevin Halfhill Modern Art and Design is just that! 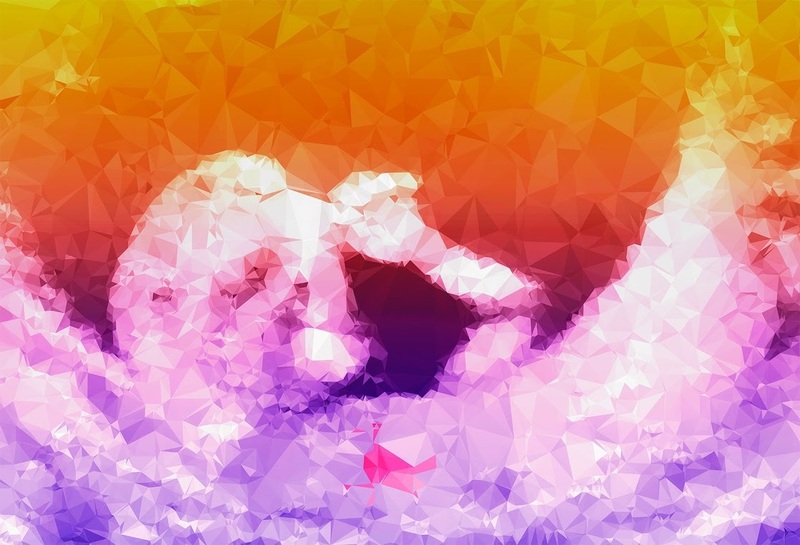 We have fallen in love with his newborn, child, sonogram and family portraiture. 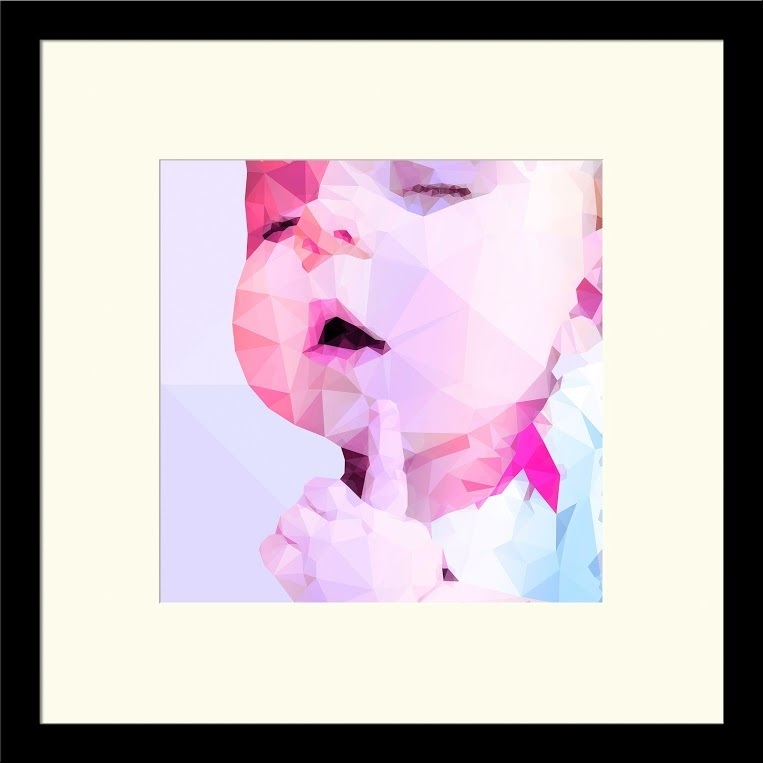 Each triangle shows off your little one in a beautiful piece of artwork. This is a must have for every home! I was a web developer for more than 15 years. For the last 4 or 5 years, I really yearned to do something more in the vein of fine art, rather than layout, etc. 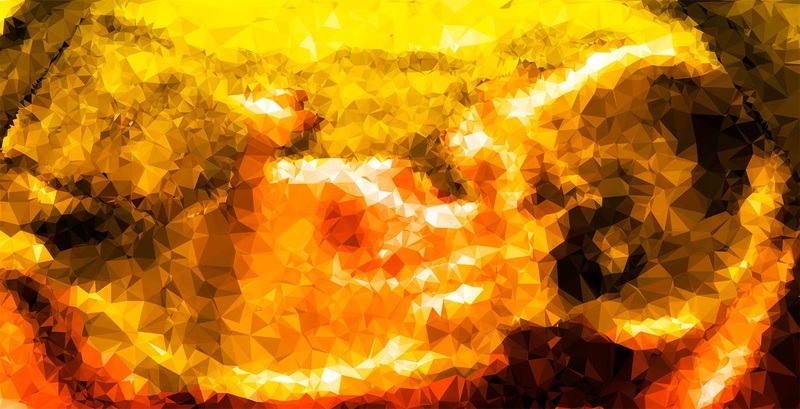 I began experimenting with fine art in my spare time, developing my own technique and style. Through this experimentation, I somewhat happened into creating a few wedding portraits for friends. They encouraged me to start promoting my work, and very quickly I began receiving requests for more wedding portraits. It wasn’t long after that that people began asking if I also painted babies and children. 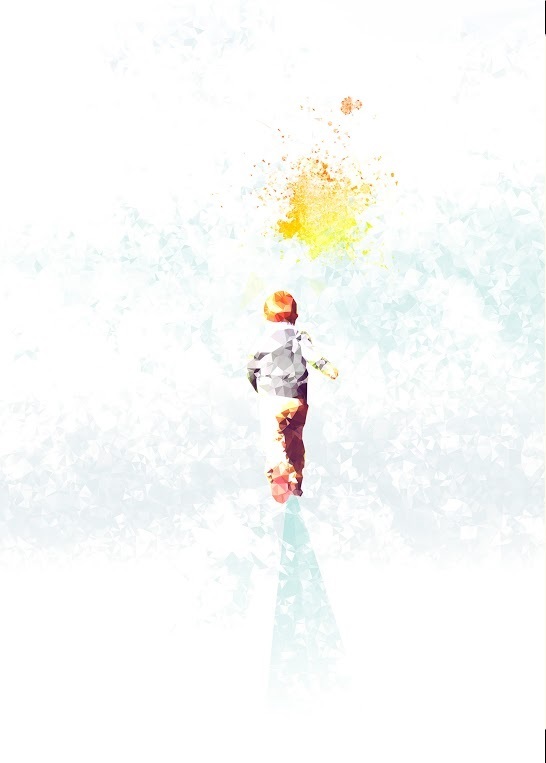 With such positive response to my work, I decided to close the web design studio and create art full-time. I like to focus my portraiture on people’s happiest moments. I recently said to someone that when I first made the decision to open a full-time art studio, I knew that I wanted to do something more than just make art—I wanted to make people feel. And that’s what I love so much about what I do: People come to me with some of their most joyous memories, and I infuse them with just a little bit more magic. A few more drops of happiness and a twist of nostalgia which they will keep with them for the rest of their lives. Even though I don’t meet most of my clients in person, it’s a truly wonderful feeling to be involved with so many people’s happiest times: wedding, births, family portraits. Especially around the holidays. It’s a very special time, and celebrating it with something as unique and personal as a portrait…creating that is just a very enjoyable experience for me. Another reason I do what I do, is that I believe family and wedding portraiture (original, illustrative artwork) is somewhat a lost art today, vastly overtaken by the photographic portrait. Photographs are beautiful, but an illustration allows us to add a very special something….extra. This is a fresh, modern take on a very traditional concept. In addition to newborn, child, family, and wedding portraiture, I also recently began offering unique sonogram portraits. They make a great way to celebrate your pregnancy! And they look great framed anywhere, as well. 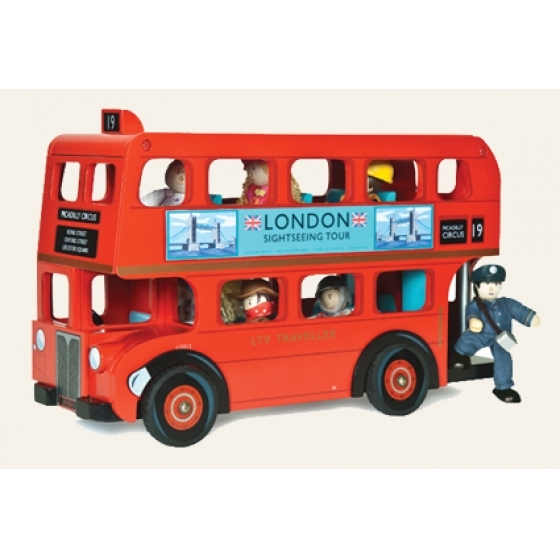 Are you looking for high quality, entertaining toys for your children? 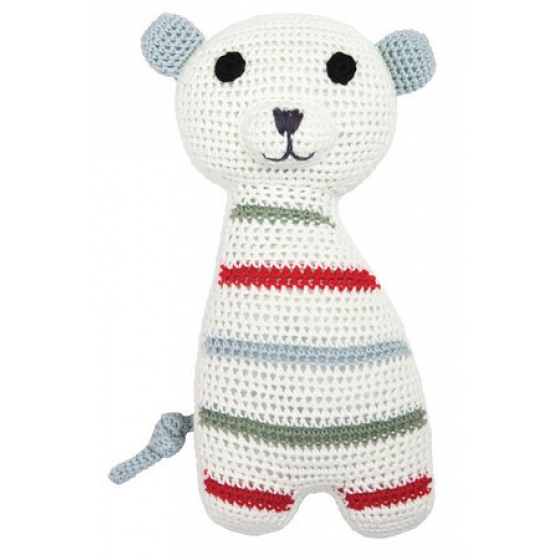 Thebabyspot.ca has had the pleasure of finding Cottage Toys, a boutique for children’s toys and baby gifts. 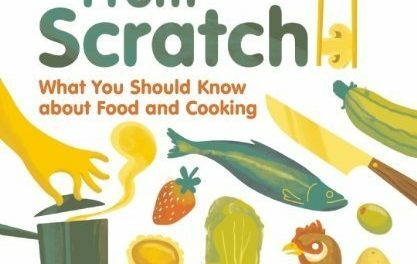 They have so many unique and educational toys for your little ones! You can start and finish your Christmas shopping right here. 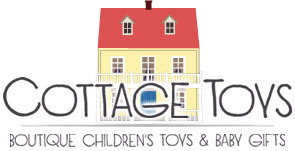 Check out Cottage Toys, your source for Christmas and Holiday Shopping! 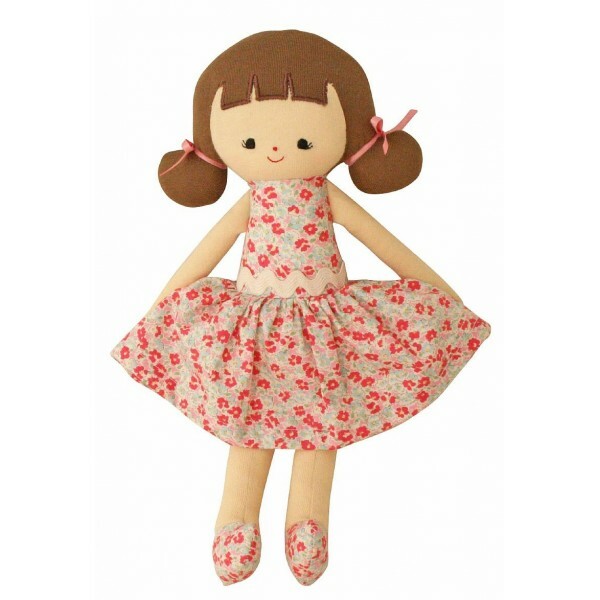 Cottage Toys is a boutique online store specialising in children’s toy and unique baby gifts. Located in the idyllic Suffolk countryside, the country originally started as a craft business creating handmade wooden dolls’ houses. Cottage Toys has since evolved into a successful online boutique selling stylish, high quality children’s toys and baby accessories. Everything that we stock is innovative, practical and chic. All our products have been carefully handpicked and many cannot be found in mainstream or high street stores. 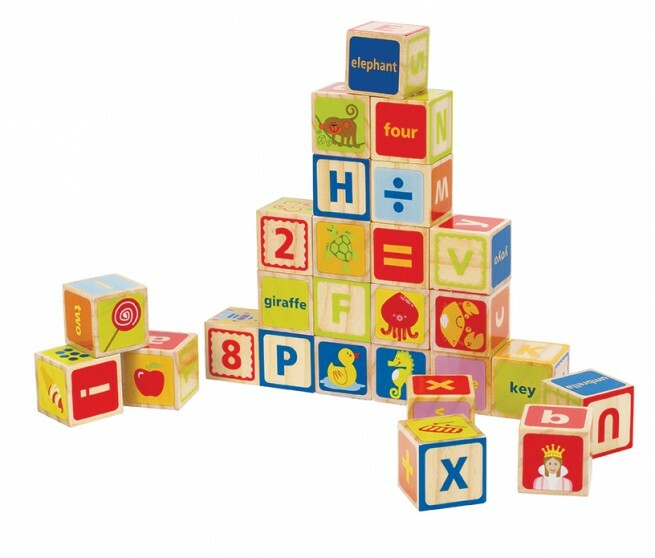 Our toys and gifts will delight young children and babies, inspire their imaginations and provide hours of fun and creative play. 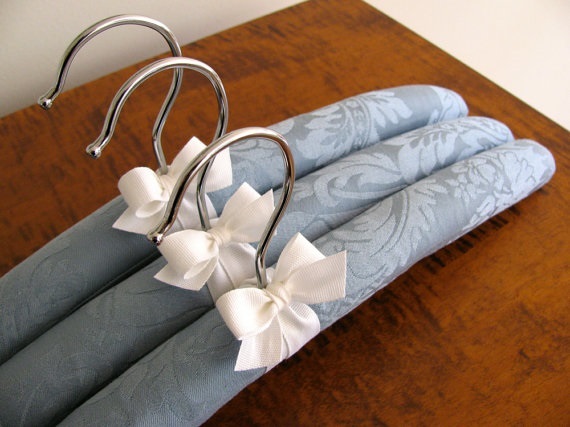 Decorate your house in style with Out of The Closet Hangers. Keep your clothes and your closets looking great with this fine brand. 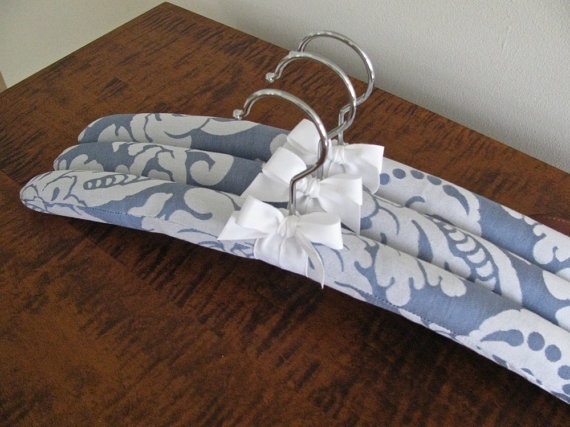 We think Out of The Closet Hangers will be perfect for new or expecting parents this holiday season! 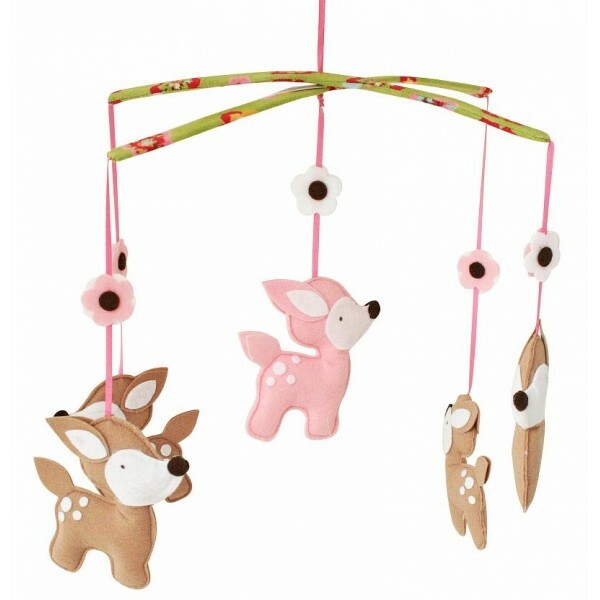 They would make perfect Baby Shower Gifts or for that parent who wants a beautiful looking closet for their little one. We could post so many pictures to inspire you, but we will control ourselves. These are a must have!!! One of every pattern, please! 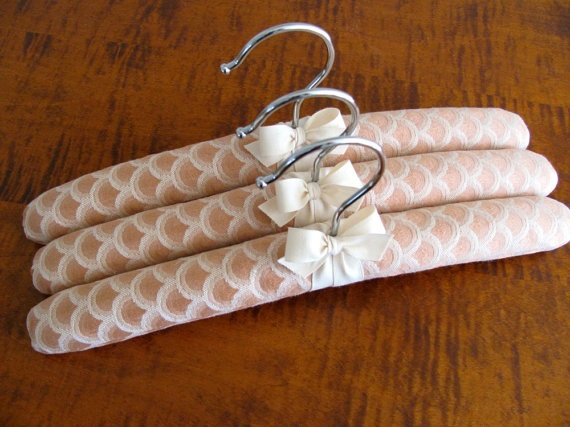 I was unhappy with the faux “satin” padded hangers in my closet. 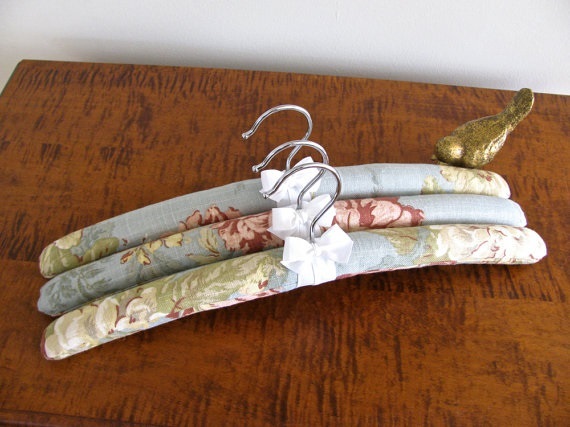 I wanted a high-end hanger that was polished and sophisticated! 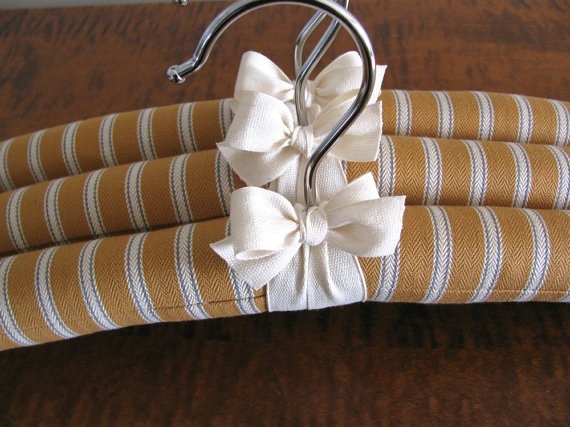 I learned how to sew at an early age and knew I could make a better hanger. 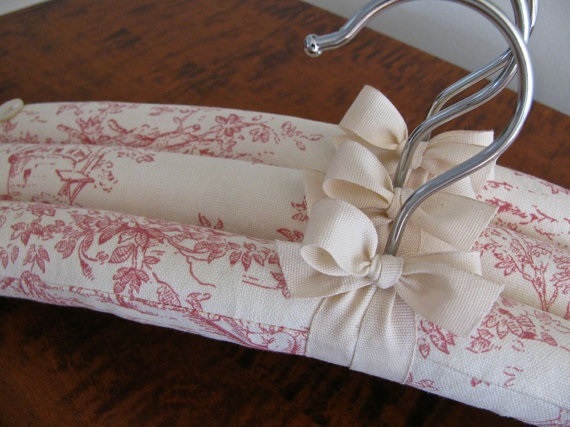 I set to work designing a pattern and gathered a selection of beautiful fabrics and ribbons. I gifted my creations to family and friends for Mother’s Day, bridal showers, and baby gifts. The recipients encouraged me to offer them to the public. I’m always on the lookout for different fabrics to create variety and appeal in my shop. I love crisp texture of the organic ribbons I use and feel good about repurposing vintage fabrics that do not have a function any longer in our modern society. Each hanger is handcrafted, one at a time, to ensure a high quality product. From the sociological and psychological dynamics to real life experiences, Author Dale McGowan identifies specific qualities that separate stable secular/religious marriages from disasters. 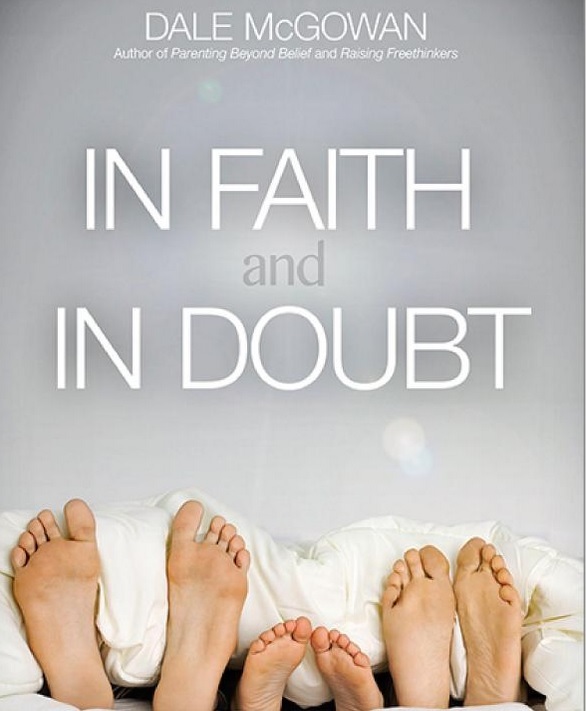 We enjoyed the part in In Faith and In Doubt that the agnostic or atheist parent’s beliefs should not be ignored simply because they do not practice a holiday or in the belief system. In retrospect, an atheist or agnostic person should respect a religious person’s right to practice faith. Chapter Five is about the turning points and we believe this will help a lot of families. Dale McGowan’s book is about balance. He was a Harvard Humanist of the Year and teaches extensively on the subject. If you are planning to marry or have children with someone who believes something different then yourself, then pick up this book. If you are an experienced multi-faith family, then let this book be the fresh air your family and your marriage may need. Buy the book here!